Vehicle accidents can happen at any time, and they often occur without warning. The consequences of some of these accidents can be devastating and long-lasting. Reckless driving can cause serious injury to other people as well as yourself. Drivers who do not follow the rules of the road are putting other people at risk and forgetting that they have a duty to the community to drive safely at all times. On May 23, the Worcester Police Department received a call about a multi-vehicle accident. The accident was reported to the police around 6 a.m. and occurred on the 100 block of Thomas Street. Upon arrival, first responders administer medical care for minor injuries. It appears there were no life-threatening injuries, and the flow of traffic was restored soon after. Police are still investigating this incident and reviewing the cause of the accident. Thankfully, the injuries reported in this accident were not severe, but some car accidents can cause lethal injuries. We encourage all drivers to remain aware of the potentially dangerous impacts of driving negligently. All drivers are responsible for following traffic laws and protecting both themselves and others from accidents. 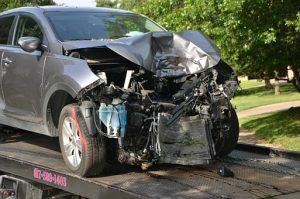 We at the Law Offices of Jeffrey S. Glassman see the negative consequences of car accidents up-close. Since we are also members of this community, we want to raise awareness about the potentially deadly impacts of negligent driving. Sadly, we know that accidents do happen to even the safest drivers, and we are committed to helping victims as they seek to recover.